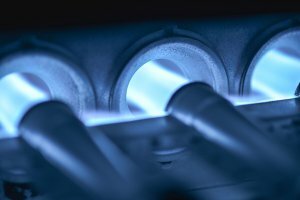 When it comes to heating repair in Murfreesboro, there are a number of things that could be wrong with your system. You may be in need of furnace repair, duct installation, or simple furnace filter replacement. Watch this video for help in determining the air flow direction for a furnace filter. Replacing your furnace filter is a relatively straightforward job that can substantially enhance the efficiency of your heating system. You can identify the front of the filter due to its reinforced mesh, which is used to prevent breakdowns caused by air transfer. The other side does not have a reinforced mesh, and instead is just a clean filter for air to transfer through. Furnace filters typically have a small image on the top that shows the direction in which it should be installed; this small diagram displays the air flow pattern so that the air can be filtered properly. 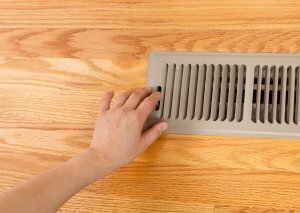 Although air ducts are typically out of sight and out of mind, they are prone to becoming dirty just like any other surface or area in the home. There are many advantages that come along with cleaning your ductwork in Murfreesboro that can affect your HVAC appliances. Here is a look at why you should have your air ducts cleaned. Your HVAC appliances must be maintained in order for them to continue working properly. Failing to do so may result in malfunctions and a call to the heating repair service or HVAC professionals. Like dirty appliances, dirty air ducts can result in higher energy bills than necessary. When dust, dirt, or other debris begin to build up in your ductwork, your heating and cooling system must work harder in order to adequately heat or cool your space. This not only drives up the amount of money you will have to pay for your energy bills, but also affects the working life of your appliances; your appliance will not last as long if it has to work harder to achieve the same result. Fortunately, duct cleaning can alleviate this issue and bolster the efficiency of your HVAC appliances . Pests like rats and insects may find their way into your ductwork, which poses health risks for the inhabitants of the home. While some insects and rats carry diseases, others passively contaminate your air, food, and living space with their droppings, saliva, and decomposing bodies. If you notice that you have pests living in your ducts, call an HVAC company immediately to have them removed so that you can protect your health and the health of your family members. Dust is a normal occurrence that goes unnoticed by many. Unfortunately, some people are allergic to this buildup, and the spread of dust throughout the house can be very damaging to these individuals. In addition, dander and other chemicals may be contaminating your ductwork and facilitating the spread of allergens. Duct cleaning can help to purify your indoor air quality and make your home a more comfortable place for your family. Your furnace becomes more and more important as the winter draws nearer; unfortunately, heating repair services in Murfreesboro grow scarcer at the same time. If your furnace is on the older side, it is a good idea to call your HVAC technician or furnace repair service before getting too deep into the season. Read on for a look at a few other mistakes to avoid when it comes to your furnace. Furnaces will not last forever, so it is a good idea to start looking around for new ones once your current unit begins to age. 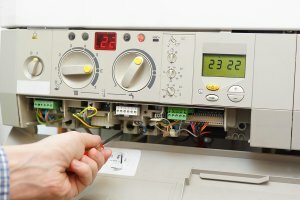 This is especially important because your furnace will most likely end its working life during the colder months when it is in heavy use; it is probably not often that you would call for heating repair during the summer. Failing to look for a furnace and assuming that you still have time can have you calling your HVAC company from a very cold house as you scramble to find a new furnace . Look for a new furnace in advance so that you have time to install it comfortably. Just like not all televisions, refrigerators, or computers are not the same, different types of furnaces vary from each other as well. Although they all work towards the same purpose, which is to heat your home, they typically vary in terms of price, efficiency, and length of working life. Since many new furnaces are manufactured for and installed in new homes, it is usually the homebuilders who determine the price point of the appliance. However, the warranties that come with the furnace as well as the efficiency and convenience are no concern of homebuilders. It is wise to purchase your furnace with a warranty; this way if it malfunctions, you are not literally left in the cold. However, it is important to know exactly what your warranty covers. The heat exchanger is one component that is typically not covered, and it is essential for the functioning of the furnace. Always read the fine print. Quality Heating & Air, LLC wants to hear from you. If we have recently repaired or replaced your furnace or heating system then we want to hear from you. Post your quality customer experience on our Google+ page.